The Professor: For those that are interested in learning to play roleplaying games, but are hesitant to take up Dungeons and Dragons, this is a great book to look into. Not quite as unusual as the world of D&D, this book combines a fun roleplaying experience with the familiarity of J.R.R. Tolkien's epic works. The rules, unlike D&D's rigid system, are simple, easy to understand, and very beginner-friendly, although careful reading is essential, or else your game experience may take an unusual turn (Hobbits effortlessly walloping Troll after Troll, for example). 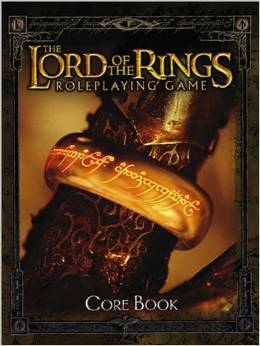 The unique layout of the character-generating rules alone assures a more relaxed gameplay experience, a chance to focus on character development, and allows for players to rapidly become more attached to their character than any Dungeons and Dragons characters, many of whom are reduced to mere pages of complicated statistics. The main problem with this book is that it has been out of print for quite a while now, and has become somewhat hard to find: also, grammatical errors and misspellings are all too common within the various chapters. Overall, this is a great roleplaying resource for beginners and longtime role-players alike, and definitely worth exploring. 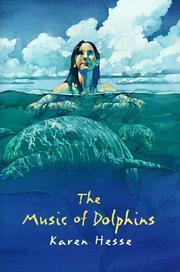 Sunshine: The Music of Dolphins tells the story of a young girl who has been raised by dolphins since before she can remember. When rescued by a group of scientists, she is frightened and unsure what to think. Eventually, 'Mila' learns how humans behave and she starts to act the same way. She is given a recorder and learns to play music with it. At first, she loves the human world and, even though she misses her dolphin family, she is thrilled to discover what she can do as an intelligent and curious young girl. However, as the story progresses, she is confused by some of the things that people do and are expected to do. She is puzzled when told to hit the punching bag with a smiling man drawn onto it. She is upset when locked in her room. And most of all, she is frightened and longs to return to the sea with her dolphins. Her only comfort is in expressing herself with music and singing, because it makes the most sense to her. To her everything is music and expressed with songs spoken and unspoken. To Mila, everything in life is part of one, harmonious song and she is confused and saddened when something seems out of tune. Honestly, this story is not my favorite. It is written from her point of view, as if she's writing in a journal and written in first person present tense, which is not my preferred style of narrative. It is also written very simply. I have a feeling the author wrote the book that way on purpose, to show you how simple Mila's speech is at first. As the story goes on, she becomes really depressed with all she is expected to do and her longing for the sea. She stops eating, she becomes ill, and she doesn't make any progress at all until she receives what she is promised. On the whole, an interesting read, but one I could do without. I found it not very realistic, but it could be an intriguing pool-side read for someone who's looking for that. Rain: This is the story of a family who moves away to the country to build a mansion with the money the father received from a big promotion at work. They purchase their plot of land from two rather suspicious businessmen and then find out that the land is believed to be part of the grounds of a secret country of Trojan descendants called Patria. The citizens of Patria can only prove this fact with their treaty…which has been missing for over 200 years. 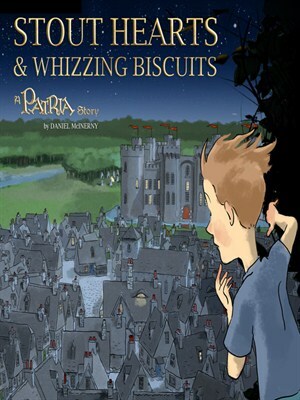 The main character, Oliver, joins with the Prince and Princess of Patria to try to find the treaty in order to prevent the looming war between Oliver's father and the country of Patria. So, what did you like about it? I liked the idea of branching off from the story of the Greeks and Trojans. I like his characters... the rascally Farnsworth & the absent-minded King who is more interested in writing poetry instead of running the country. There is some slight romance but it's entirely between a young knight and Oliver's Aunt. (It's very chaste and innocent romance.) It's a fun read that's probably geared towards the 10-12 year old crowd. It's definitely enjoyable and the sequel, Stoop of Mastadon Meadow, is just as good too. Admittedly, Oliver's parents are kind of annoying. His father is rather puffed-up and very proud of his position which makes him act superior to the Patrians. He's not very willing to trust them either… that could be because he thinks they are crazy. His mother is kind of like Mrs. Bennet… silly, rather irritating and a little careless. Bigboy has been plowing through books and audiobooks since he signed up for the library's summer reading program. This is his review of The Legend of Luke. He's talking. I'm typing. Bigboy: It's a really good story full of sailing and questing with a smidgen of tragedy. (Yes, he really did use the word smidgen.) I would heartily recommend the Redwall series. Is that good? Me: Yes, that's good. Which is your favorite Redwall book? Because there are a bunch of adventures, a sea battle and one very funny character. He's called Gonff. He's a mouse thief and a ballad writer who sometimes has some very funny lines. Is he a thief who is a mouse or does he steal mice? He's a thief who is a mouse. The Redwall series has no humans, only animals. 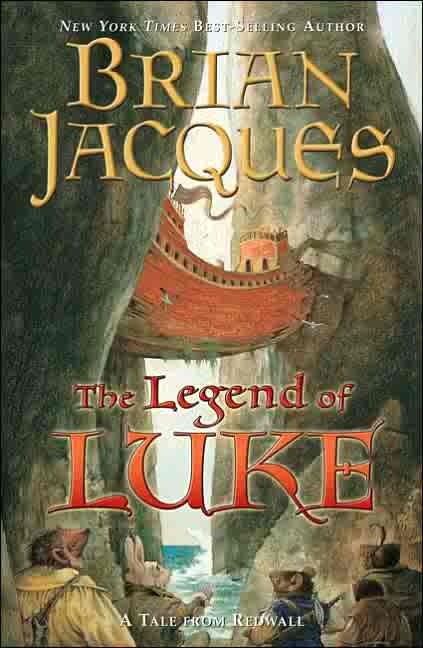 Anything else you want to say about The Legend of Luke? Nope. Not really. I would just like to recommend the whole series. Check out other summer reads with pregnant elephants waiting to pop over at HousewifeSpice!